The Neutra Practice is committed to architectural preservation across the world. We are currently focussing on the upcoming MASTER PLAN effort currently being launched for Silver Lake. As we pass 70 days of Kronish’s borrowed time, I thought I’d post, if only to let people know I’m still thinking about this, and for “no news is good news”! There must be some activity brewing behind that shrouded gate, but I’m STILL as much in the dark as everyone else. At least to my knowledge the house still stands back there. My offer to be of service is still hanging ‘out there’. Continue to sign that petition if only to show continued interest and support? As we pass the 30 day allocation of the Kronish’s borrowed time, I thought I’d post something, if only to let people know I’m still thinking about this. There IS some activity brewing behind that shrouded gate, but I’m sworn to secrecy like everyone else. At least to my knowledge the house still stands back there. I’ve continued to offer my services. It’s been a busy week; time for an up date. We’ve offered to work with the new owners of Kronish on their terms; still trying to find out who they are. Until the new course is set, this house is still living on borrowed time. I continue to gather evidence to present to the councilman, that a remodel of the crosswalk is desired in front of VDL; a lower key version on an adjacent busy highway is our model. No lights, buttons or poles. 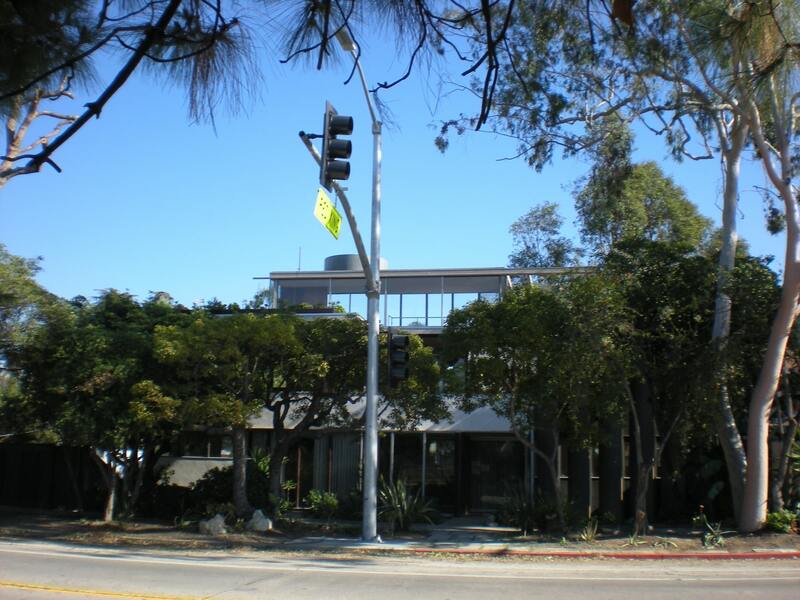 This evening saw an ending to our valiant effort to repurpose the Kronish to a public purpose; the Neutra Center. The political will was no longer there to buy out the mysterious secret buyers who closed escrow on the house at 12.8M last week. At the council meeting, time was given to the attorney who had represented the Soda partners, who grossed over 2M in the transaction. He lauded the council for its role in the salvation of the house, along with the patience of his clients. Everyone congratulated each other with this success. My favorite councilman, John Mirisch, even managed to mention my role and interest in working with the new owners. I’m trying to think what we can say now, as we survive Day 1, post Armagedon, except to continue to hope the that the City will come to its senses and take our offer to front the money and rescue this from whatever fate someone is devising behind the secrecy that has clouded the issue for a couple or more weeks now. I would have thought they’d have contacted me by now, if they had good intentions. Why do I think this lovely project is now living on borrowed time? Please, ANYONE, if you have information, let me share it with this growing public, with 1100 signatures now on our petition and growing! The Neutra Institute is conducting a National Fund Raising Campaign. Be among many to commit and continue to change the history of preservation In our country! Our new goal is to also attract some of the richest patrons in our country to step up and make up any shortfall to repurpose this icon to ‘The Neutra Center in Silver Lake’! WE NEED $5 MILLION! We propose a partnership with LACMA, to form LACMA EAST! Donations are tax exempt between the County Museum of Art and this Institute.